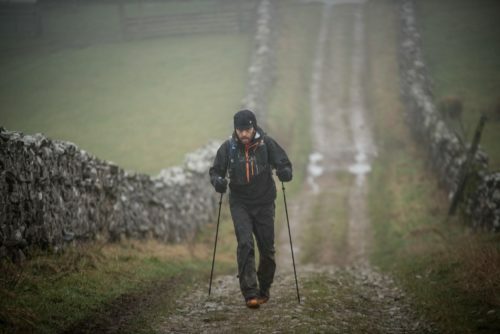 For those of you who don’t know it, the Spine Race is known as Britain’s most brutal race. 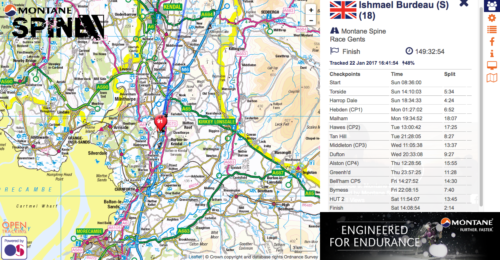 The race travels the 420Km length of the Pennine Way from Edale in the Peak District through the Yorkshire Dales and Northumberland National Park before finishing over the Scottish border in Kirk Yeltholm. 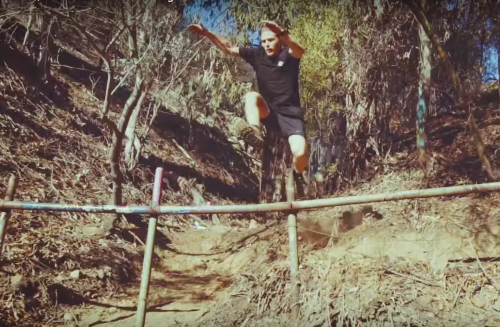 Vegan Runner Ishmael Burdeau took on the 2017 Spine Race and tells his story first hand. It’s now four days since I crossed the finish line in Kirk Yetholm to complete the 268 mile Montane Spine Race in 149 hours. I’d spent much of the previous year preparing for the race – gradually increasing my training, buying and testing equipment and, most of all, pondering whether or not I’d make it to the end. Although only a few years old, the Spine Race has earned the reputation of being “Britain’s Most Brutal Race”. Typically fewer than half the participants make it to the end within the seven-day cutoff, victims of fatigue, injury, hypothermia and even frostbite. I knew it would be about a lot more than just fitness – enormous resilience, good planning and luck would play a bigger part than just training. I have become a plant-based athlete gradually over the past two years. For many years I competed seriously as a cyclist, completing events such as the London-to-Istanbul Transcontinental Race in 2014 and 2015 as well as road races and 24 hour time trials. In years past I had also raced many marathons. Over the course of these many years I had, I thought, worked out a suitable diet for myself. However after gradually moving to a whole foods, plant-based diet a few years ago I found many positive effects. I was sleeping better and had more energy. I had fewer ups and downs. Most importantly, the minor injuries which had caused me so many problems as a marathon runner went away. 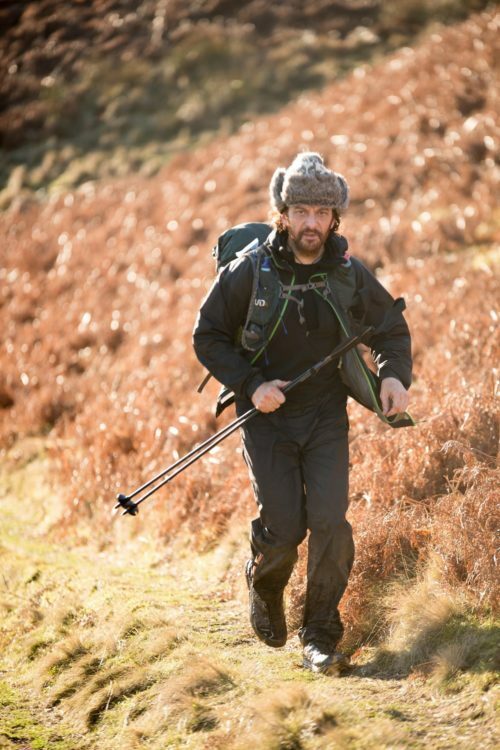 I found I could easily train about 80 miles per week for weeks in succession without even a minor ache or pain, whereas when I had followed a more conventional diet I could only manage 50 miles per week. Plus I was 15 years older. Back to the Spine Race. Day One saw fairly deep snow on the hills above Edale, which, when combined with heavy rain and strong winds, made the miles to Hebden Bridge really hard going, with deep streams to ford and trails made slippery with ice and snow. Nutrition-wise, I was very fortunate in that I had excellent support in the form of my partner Georgina and our Ford Transit camper. So I had little to worry about with respect to getting the right food en route and also at the beginning and end of each day. As I was covering about 45 miles per day, there was no need for the gels, drinks and bars which form such a big part of many athletes diets. Instead it was homemade vegetable soup, chai tea, pitta bread, nuts and avocados. Typically I’d finish off the day with a wholefood meal, such as rice or quinoa, tempeh and vegetables. After four or even five hours sleep (amounts of sleep unheard of in this event – most runners tried to get by with only two or three, with variable effects), I was refreshed and ready to go again after a breakfast of porridge with quinoa or granola and coconut milk. Of course I did also have some treats – lots of dark chocolate and even a veggie burger and chips at the end of day two. Sadly our van wasn’t fully up to the job, and Georgina had to end her support for me about 200 miles into the race while she took time out to take the van to a garage in Haltwhistle to repair a broken exhaust and failed starter motor. 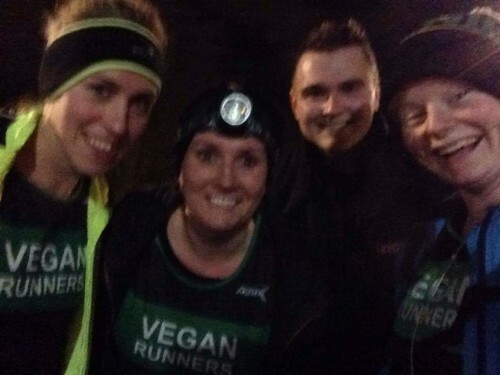 This meant I’d have to complete the final two days of the event unsupported – a fairly standard but daunting task for runners on a so-called “standard” diet, but somewhat more difficult for a vegan one. I knew from previous experience in the Transcontinental that competitors who are resourceful, resilient and stay healthy are the ones who make it to the finish. In this case, resourcefulness meant getting by on what was available and making intelligent food choices. Fortunately staff at checkpoints were supportive and interested, and I managed to get a good Quorn curry and a few nice soups over the final stretch. The other big factor in my favour was that I had been banking sleep during the race, never having fewer than four hours of sleep, and often as many as five hours per night. Based on my Transcontinental experiences, I knew that after several days without sleep or with very little sleep my pace would slow dramatically and my morale and decision-making abilities would hit rock bottom. I have no doubt now that lack of sleep was a big factor in the downfall of many runners, who limped sadly though the final few days or dropped out altogether. On days five and six I was still moving well, and suffering only from a number of blisters on my consistently very wet and cold feet. The final morning over the Cheviots was clear, sunny and cold, which did a lot to make up for the many days of rain, drizzle, fog and gloom of the rest of the week. I eventually crossed the finish line in 33rd place out of only 58 finishers with a time of 149:32:54.